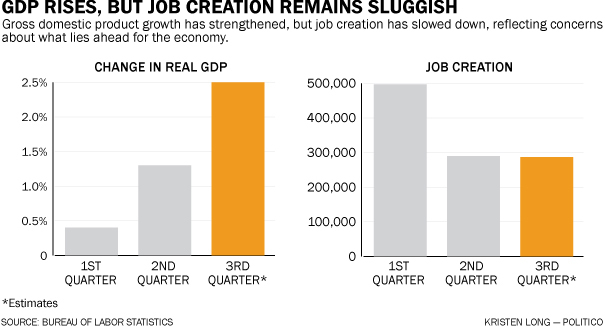 Yesterday, the U.S. GDP for the third quarter of 2011 unexpectedly surprised to the upside at +2.5% vs +.7% in the second quarter…. You’re not alone wondering how it was possible for Q three GDP to post such a substantial improvement driven by mostly a surge in Personal Consumption expenditures? Well, so do we! 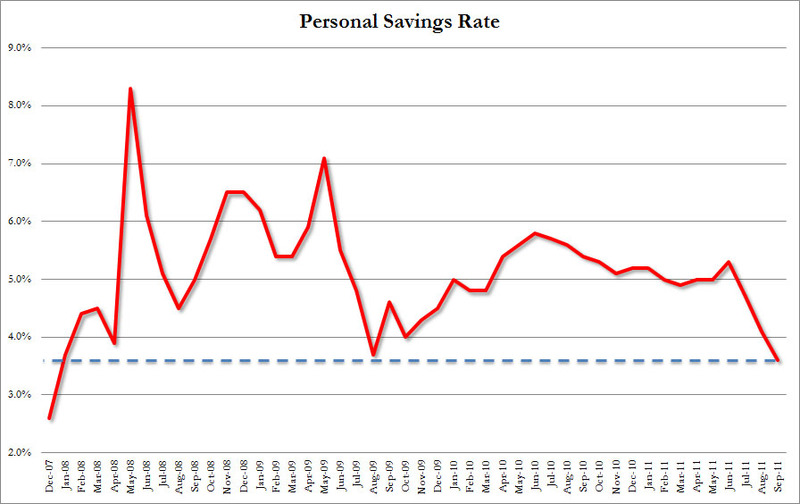 Looks to us like it was at the expense of savings, which was 5.3% in June but now sits at 3.6% as of September…that’s our best guess.